What is the cheapest way to get from Conwy to Porthmadog? The cheapest way to get from Conwy to Porthmadog is to drive which costs £4 - £7 and takes 42m. What is the fastest way to get from Conwy to Porthmadog? The quickest way to get from Conwy to Porthmadog is to taxi which costs £75 - £95 and takes 42m. Is there a direct train between Conwy and Porthmadog? No, there is no direct train from Conwy to Porthmadog. However, there are services departing from Betws-y-Coed and arriving at Porthmadog via Blaenau Ffestiniog. The journey, including transfers, takes approximately 2h 39m. How far is it from Conwy to Porthmadog? The distance between Conwy and Porthmadog is 19 miles. The road distance is 27.8 miles. How do I travel from Conwy to Porthmadog without a car? The best way to get from Conwy to Porthmadog without a car is to train and Steam train which takes 2h 39m and costs £21 - £24. How long does it take to get from Conwy to Porthmadog? 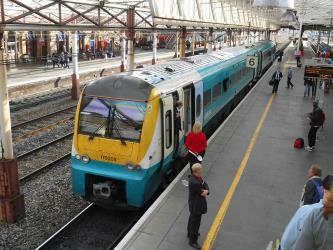 It takes approximately 2h 39m to get from Conwy to Porthmadog, including transfers. Where do I catch the Conwy to Porthmadog train from? Conwy to Porthmadog train services, operated by Arriva Trains Wales, depart from Betws-y-Coed station. Where does the Conwy to Porthmadog train arrive? Conwy to Porthmadog train services, operated by Ffestiniog & Welsh Highland Railways, arrive at Porthmadog station. Can I drive from Conwy to Porthmadog? Yes, the driving distance between Conwy to Porthmadog is 28 miles. It takes approximately 42m to drive from Conwy to Porthmadog. How do I get a train ticket from Conwy to Porthmadog? 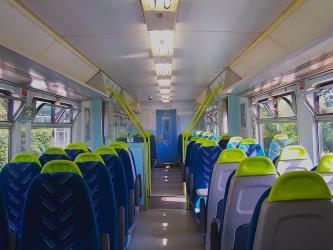 Book your Conwy to Porthmadog train tickets online with Rome2rio. What companies run services between Conwy, Wales and Porthmadog, Wales? You can take a train from Conwy to Porthmadog via Blaenau Ffestiniog in around 2h 39m. Where can I stay near Porthmadog? There are 851+ hotels available in Porthmadog. Prices start at £52 per night. Discover how to get to attractions and hotels near Porthmadog. The Ffestiniog Railway (Welsh: Rheilffordd Ffestiniog) is a narrow gauge heritage railway, located in Gwynedd, Wales. It is a major tourist attraction located mainly within the Snowdonia National Park. Harlech Castle (Welsh: Castell Harlech), located in Harlech, Gwynedd, Wales, is a medieval fortification, constructed atop a spur of rock close to the Irish Sea. It was built by Edward I during his invasion of Wales between 1282 and 1289 at the substantial cost of £8,190. Over the next few centuries, the castle played an important part in several wars, withstanding the siege of Madog ap Llywelyn between 1294–95, but falling to Owain Glyndŵr in 1404. It then became Glyndŵr's residence and military headquarters for the remainder of the uprising until being recaptured by English forces in 1409. During the 15th century Wars of the Roses, Harlech was held by the Lancastrians for seven years, before Yorkist troops forced its surrender in 1468, a siege memorialised in the song Men of Harlech. Following the outbreak of the English Civil War in 1642, the castle was held by forces loyal to Charles I, holding out until 1647 when it became the last fortification to surrender to the Parliamentary armies. In the 21st century the ruined castle is managed by Cadw, the Welsh Government's historic environment service, as a tourist attraction. Snowdon is the highest mountain in Wales, at an elevation of 1085 m above sea level, and the highest point in the British Isles outside the Scottish Highlands. It is located in Snowdonia National Park (Parc Cenedlaethol Eryri) in Gwynedd. It is the busiest mountain in the United Kingdom and the third most visited attraction in Wales, with 582,000 people visiting annually. It is designated as a national nature reserve for its rare flora and fauna. Criccieth Castle (Welsh: Castell Cricieth) is a native Welsh castle situated on the headland between two beaches in Criccieth, Gwynedd, in North Wales, on a rocky peninsula overlooking Tremadog Bay. It was built by Llywelyn the Great of the kingdom of Gwynedd but it was heavily modified following its capture by English forces of Edward I in the late 13th century. Rome2rio makes travelling from Conwy to Porthmadog easy. Rome2rio is a door-to-door travel information and booking engine, helping you get to and from any location in the world. 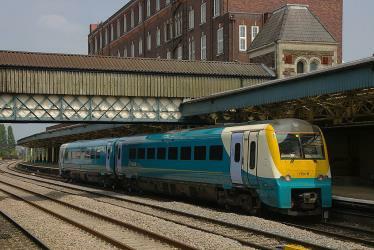 Find all the transport options for your trip from Conwy to Porthmadog right here. Rome2rio displays up to date schedules, route maps, journey times and estimated fares from relevant transport operators, ensuring you can make an informed decision about which option will suit you best. Rome2rio also offers online bookings for selected operators, making reservations easy and straightforward.